Hello everyone! Mother’s Day is in just 18 days! 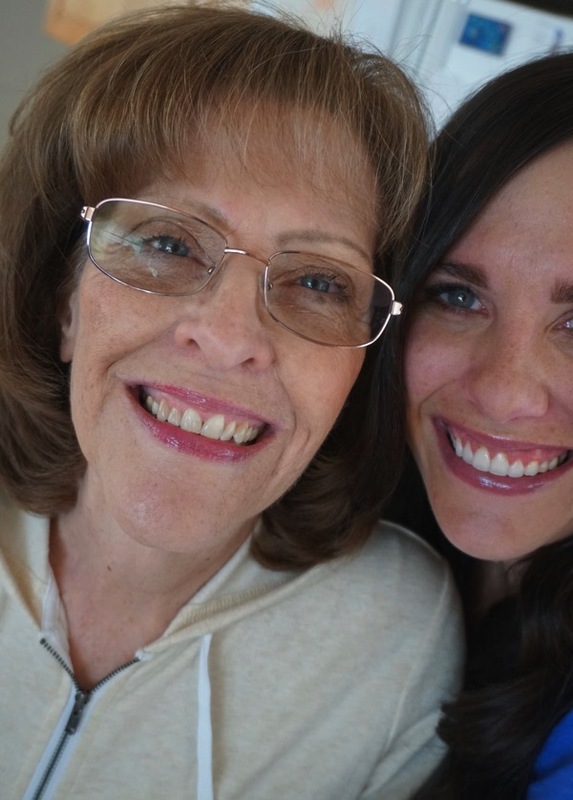 I wanted to spend some time talking about my mom today and also share an amazing gift idea for the women in your life. 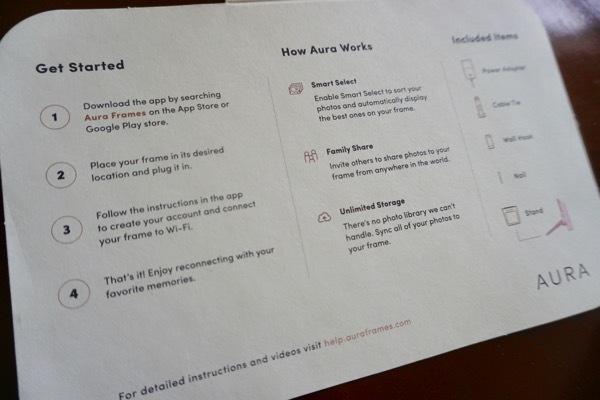 This post is sponsored by Aura Frames and you do not want to miss the awesome $50 off discount I have for you at the end of the post. My mom. Where do I even begin? I can’t think of anyone more selfless, nurturing and caring than my mom. She has been there for me through absolutely everything. I know every member of my family (and her friends) would say the exact same thing about her! 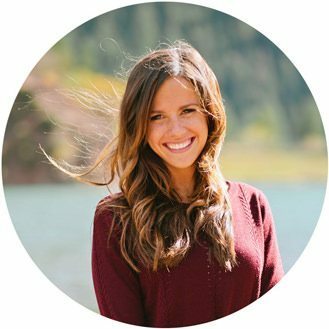 I know that her posts and words of encouragement have helped you guys too over the years on the blog. She is just so good at being everyone’s biggest cheerleader. When we tell Knox and Brooke that we are going over to my parents’ house, they squeal and jump up and down because they are so excited to spend time with my mom and dad. If anyone ever tells me that they remind me somehow of my mom, I’m on cloud 9. I hope to be just like her someday because her heart is pure gold. 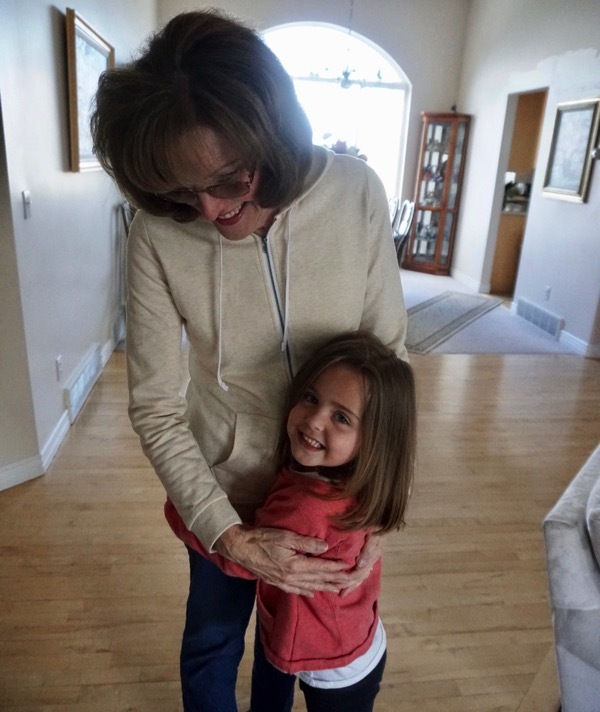 I love seeing little Skye getting to know my mom. Our kids hit the grandma jackpot. My parents have five children and twenty four grandchildren now. The numbers keep climbing too. My parents have a lot of birthdays/anniversaries/events to keep up with between everyone! 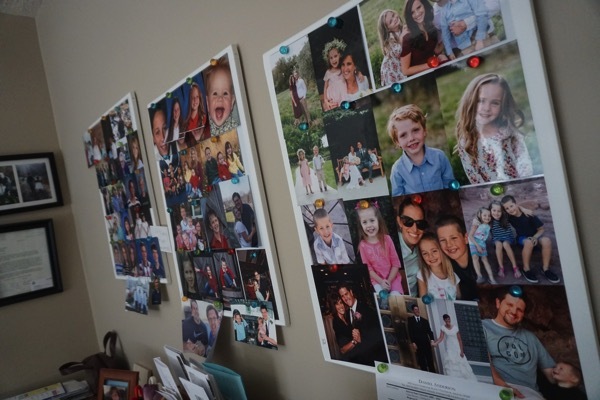 This photo wall is in my mom’s office. She absolutely loves seeing everyone’s faces but it is definitely hard to keep up with the pictures because all of the little ones are growing up and changing so fast. My sister and I are the only ones that live close to her so she definitely misses out seeing the other sixteen grandchildren often! When I first saw the Aura, I knew it would be perfect for my mom because of how much she loves seeing pictures of her family! 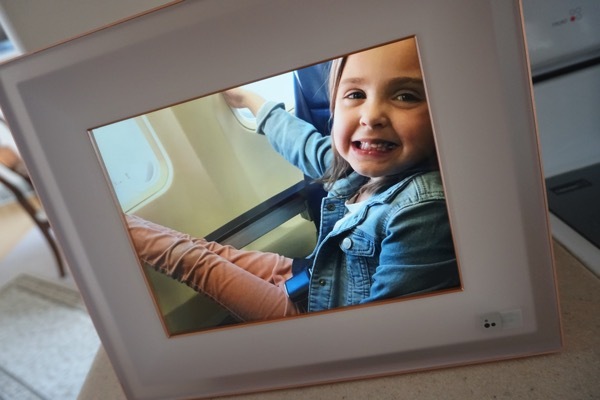 I chose the Ivory/Rose Gold frame for her, it is gorgeous and she absolutely loves it. The display is crystal clear and looks perfect in any room. The reason (besides how beautiful the frame is) that I knew my mom would love the Aura is because of the simple app that you use to add photos to the frame. You just choose which photos you want to share and they instantly appear in the Aura! 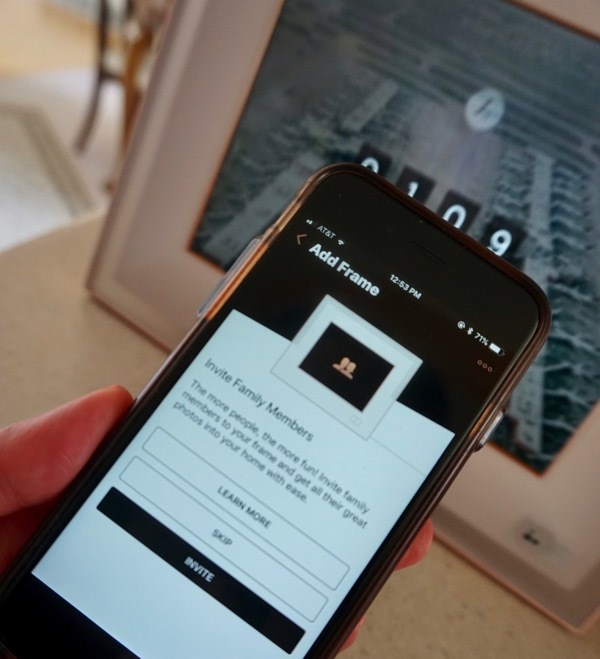 Also, if you get the Aura for somebody as a gift you can even add photos to your mom’s frame before it arrives to her through the app so that when she first plugs it in, the photos are there ready for her. The thing that my mom loves the most about the Aura is that everyone in our family can send photos to her frame. My siblings have the app on their phones now and they just send the photos to the frame from wherever they are! My mom was so excited about this because now she can have updated photos every single day from all of her kids and grandkids. There are no limits to the number of people you can invite or the number of photos that this frame can display! 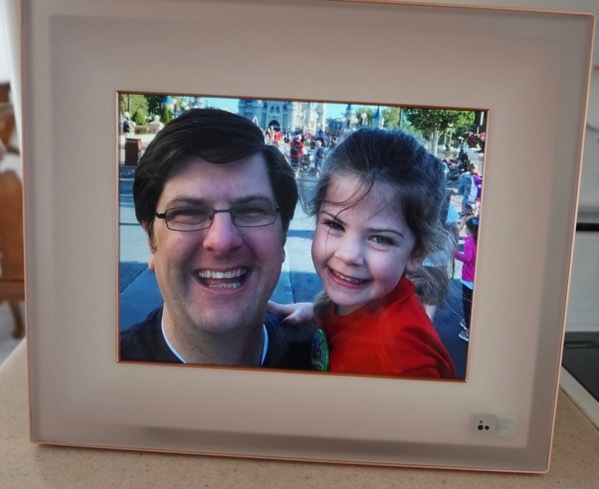 My brother took his daughter to Disneyworld for the day (lucky pilots get to travel so easily, ha) and sent a photo straight to my mom’s frame from their trip even though he was on the other side of the country. My mom can choose to have the pictures on her Aura rotate by the smart slideshow timing, stay on a certain photo or she can change the picture by waving her hand in front of the frame! Also, the Aura wakes up because of the light or someone entering the room! I love the picture quality of the Aura and my mom prefers having the photos big and out on display now rather than the small photos of the kids that we used to send to her phone. If you need a gift, check Aura out! Happy almost Mother’s Day to my Mom and to all of the amazing women out there supporting, loving and caring for others. You are the best. 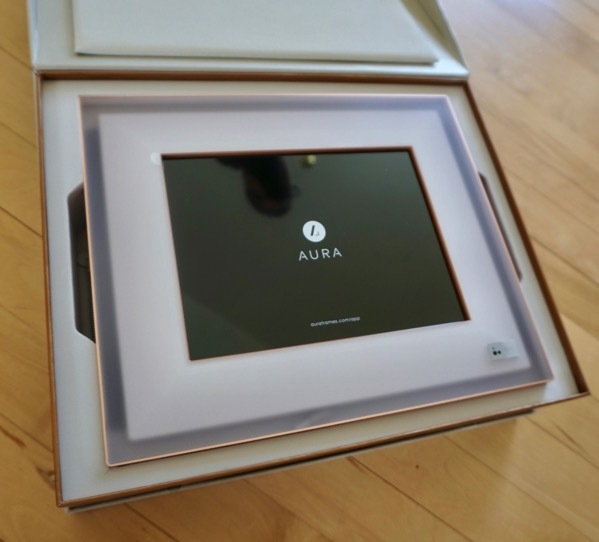 My mom was so thrilled with her Aura Frame! She will be using it forever! 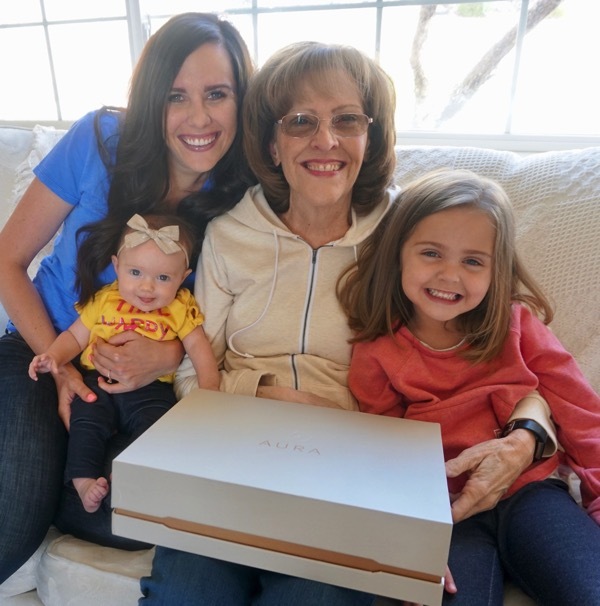 If you need an amazing gift for your mom this Mother’s Day, you can get $50 off the Aura Frames HERE and use the code HUNGRY50! Tell me a bit about your mom or any other amazing women that have been a big influence in your life! What is the best part of your Wednesday going to be? Have any siblings? How many? Where do you fit in with the order? With May right around the corner, do you have any races in May? Birthdays? My Twelve FAVORITE Finds Lately!!!! Thank you for the discount on the Aura Frame. I ordered one for my husband for Father’s Day. 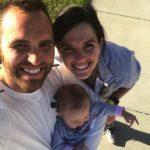 With our kids on opposite sides of the country, he will love seeing updated pictures from the East coast and the West coast. Love your blog! You are very inspirational. Oh he is going to love it!! Let me know what he thinks:) Thank you for the sweet comment, it sure means a lot to me. Have a wonderful day Joan! What a cool gift! I love that it can be constantly updated with new pictures from anywhere! Best part of my Wednesday was a great morning run with my dog, and curling up on the couch to watch Pretty Little Liars this evening…it’s been a long week already! I have an older brother and a younger sister – I’m in the middle! I am so happy that you had such a great run with your pup! Enjoy your show tonight. Thanks Erinn! 4 kids and I’m the youngest in my family. My favorite thing about this specific frame is that you can send pictures from your phone! That’s awesome! Remember those older digital frames that you had to take the SD card out and reload all the pictures every time you wanted to use it? My mom had one of those and it didn’t last long because of that. I was incredibly lucky in the Grandma department and I lived within a mile of each of them my entire life. They are both gone now and I swear, every day I’m saying “I just need a grandma in my life”. That’s one reason we are still where we are. I want my kids to grow up knowing and loving their grandparents and cousins! That’s why we get along so well… we are both the babies! YES YES YES.. I do remember those and they were not very user friendly haha. I love that you grew up so close to both grandmas… they still throw awesome parties (I want to come next Halloween)! What a great gift! Thank you for sharing! I think my mom would love this, she’s always changing the background on her iPad to display photos – this would be such a better way to do it! I just have one sister who is much older than I am. I always thought it would be cool to be from a big family and have lots of siblings but after having a child of my own (and another on the way!) I see how tough parenting is and I don’t think I’m cut out for having tons of kids!! Okay, that mommy and me tumble class sounds like so much fun! I want to start that with Skye ha. CONGRATS on your second pregnancy, that is so exciting. You are right, parenting is no joke ha. You are doing amazing and I hope you have a blast tonight. WHAT A GREAT IDEA! I may be getting this for both my mom and grandma for mother’s day. I have 3 younger sisters, so we could definitely all chip in and gift them these frames. Thanks for the great idea! You are so welcome, your mom and grandma are going to love it. My mom texts me almost daily about how much she loves it:) ENJOY getting your hair done and I hope you are feeling well today and energetic! This is so going to be my Mom’s gift – she will LOVE it!! 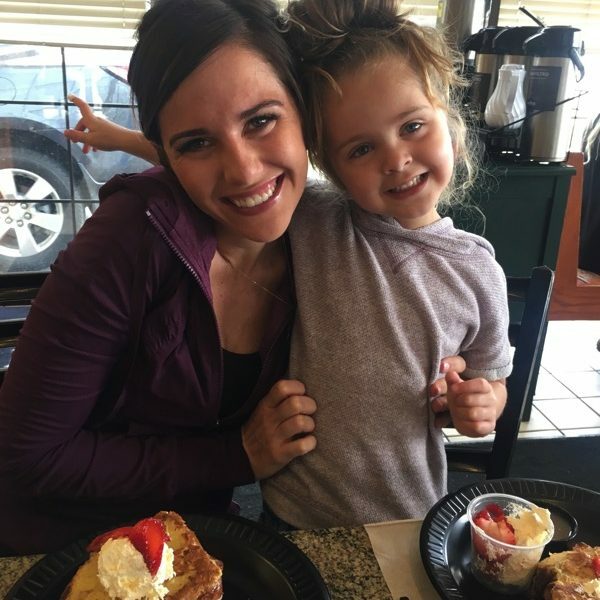 Janae, I remember your mom’s advice about every time you think of your upcoming race to smile, “even if you have to force it” – it worked for me and I’ve passed that advice on to my daughter, too. I love it. Wednesday highlight=a visit to my pain doctor for a hamstring issue. Yay, me. i literally was just writing about that tip from my mom for my post tomorrow! I’m so glad you shared it with your daughter. I am SO sorry about your hamstring problem… the worst. I hope it is gone asap! Have an amazing day Liz. WOW. Reading about your mom gave me goosebumps. She sounds absolutely amazing. I LOVE that you will be doing the Marine Corps 10K with your mom, you will have to tell me all about how it goes! Have a beautiful day Juliet and I hope your mom loves Aura as much as my mom does. Hi Ali!! So far we have gotten them for our moms for mothers day! I hope you have a great day!! The best part of my Wednesday is that I took the day off work and am driving up to Santa Barbara to go to the Kelsea Ballerini concert tonight! Hope you have a great Wednesday, Janae! YES… moms are the best! Oh enjoy every second of today, that sounds perfect! That is such a cool gift! I want one for my mum AND myself! I have 2 races in May which I’m super excited about. 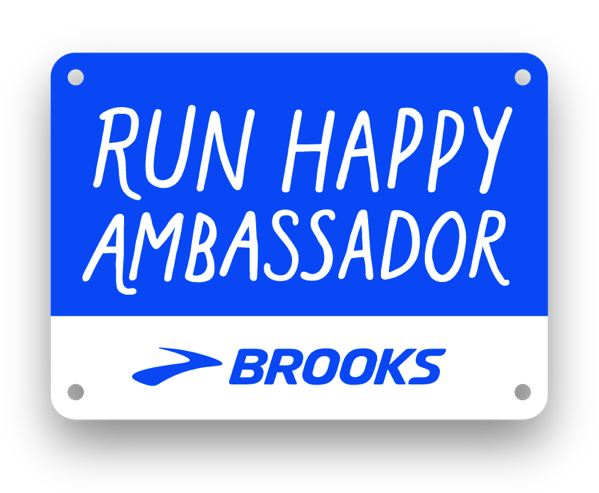 A half marathon on May 6 and then a 10k on May 13! Love the start of racing season. You are going to ROCK your May races Elise and I totally agree, hallelujah for racing season to finally be here! every time I ask my mom what she wants for Mother’s Day she always answers something along the lines of for you to not stress me out. What am I supposed to get her?! This is really cool. Can other family members submitting photos see and access them too? Or only the owner of the aura frame? Hi Melly!! That is an awesome question! You can see the pictures added in the app itself so you can look at it through your phone to. 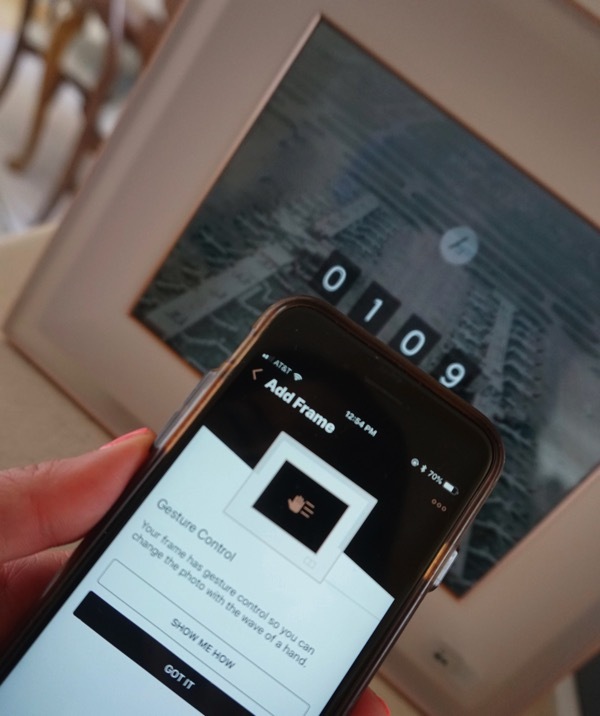 You just need to have the account login to the app that connects to the frame! I hope you have a great day!!! Cool. I really want to get one of these for my mom!! My siblings are spread over the country too, so it would be neat if we could all submit photos occasionally to my mom. This is such a great gift. I just purchased one for my daughter for her office. We are always sending pictures back and forth via text of her two boys. We live close by and the boys spend a lot of time with us, which we love. Thanks for the discount code!! Although my mom has passed, she and I were really close. And I am the youngest of 3 girls and number 5 of 6 kids total. My sisters were much older than me and we didn’t get close until I became a mom. That mother/sister bond is unbelievable. My daughter and I are really close also so it’s nice to pass that along to our kids, but especially our daughters. She is a wonderful mother and I feel very blessed. Happy Mother’s Day to you and your mom. Oh that makes me so happy! She is going to love it! I loved reading about your relationship with your mom, sisters and daughter. You sound amazing Kate, I want to know you in real life. I hope you are having a beautiful day! My Mom was a champ! I’m the youngest of 4 (2 girls, 2 boys.) My brother who was closest in age to me was born with hemophilia so we spent a lot of time with doctors and at the hospital. But Mom was the glue – she kept us all together. She was only 58 when she passed away (breast cancer.) This will be my 20th Mother’s Day without her. I really miss her. 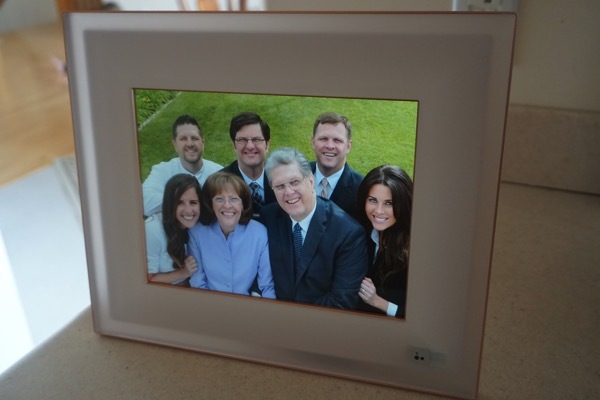 She would have loved that frame – she loved taking pictures! My birthday is this Friday and four weeks later (May 25th) is our 27th wedding anniversary! Les and I were both 27 when we got married, so we will be married half our lives now! Kathy, my heart breaks for you this Mother’s Day. Your mom sounds like she was absolutely incredible. Huge congrats on being married to Les for HALF of your life. I love that and happy birthday on Friday, I wish we could go on a run together to celebrate! I have an amazing Mom. I am not sure what I would do without her. I read something the other day that said “the things you parents do for you once you are an adult are not out of parental responsibility, but out of love” and that is SO true. I am super lucky to have the mom I do! Extra lucky because I don’t have to share her (I’m an only child) :). Best part of my Wednesday is a taco dinner my friends and I are having tonight! We don’t get together very much during the week but I am excited that we are today! Oh, I LOVE that quote you shared. Thank you for that and I love to hear about your bond with your mom. 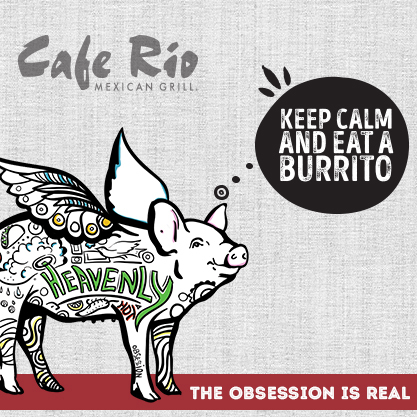 Enjoy tacos tonight… that sounds perfect! I’m so lucky because not only do I have my mama around, I have 2 older sisters that are 17 and 18 years older than me, so it’s almost like I get to have 3 moms and it is seriously the best thing ever! Best part of my Wednesday is getting to register a bunch of incoming freshmen for high school! I love seeing the new kids and their excitement. There are 5 of us too :) 3 girls and 2 boys and I am the second to the youngest. Stephanie, great job on your barre class… I really need to follow your lead and go. Sounds like you had the perfect morning and now I am craving that donut! I WOULD LOVE to meet you there… now I need to find a race:) Enjoy the rest of your day! I never tried a barre class until a couple of weeks ago, actually–I was curious about this barre studio in my ‘hood that wasn’t one of the major national franchises, and I was curious if the stereotypes I had running through my head about barre were true or a bunch of baloney. Oddly enough, I love it (and I tend to go for more HIIT work, Olympic weight lifting, and my love of running & spin…). A month-long challenge began days before I took my first class, so I used my inner-competitive-brat to get a month-long new student special and really give this thing a shot. As it turns out, I love the yoga and Les Mills Body Flow classes I take and teach on days when I run and I *really* love the way barre feels on the days where I take or teach a normal spin class or take a class of this HIIT spinning program I am in love with. Oddly enough I think donuts bring good luck. Just after I finished eating my indulgent treats two great things happened: a literary journal I love emailed me to accept two poems I submitted (I write poetry and I translate from modern Greek into English! ), *and* the English department at one of the universities in town emailed me to request an in-person interview for a permanent lecturer position at that school (my current job, at a different university, is temporary…I have been scared about my professional situation). So there is hope!!!!! Aside from donuts being good luck, maybe it’s no mistake that these two good things happened today, which is EXACTLY 1 month before the official publication date of my first poetry collection! I agree, donuts are the best luck. I am SO happy about the emails you received, you are amazing Stephanie! ONE MONTH… ahhhhh I want to read! Well, that just made my morning. Thanks for sharing that Michelle, you probably made her day! I hope you have an amazing day! Best part of the day – coffee and sunshine. Our city has seen a lot of rain over the past month!! My mom’s b – day is tomorrow – and my partner has a May B – day. I have one younger sister – (when I was little I wanted to trade her in for a big brother go figure :p). I have some incredible strong women in my life – both in my family and outside who continually challenge the status quo and show me every day, that anything is possible when you go after your dreams. I am so happy that you guys are having some nice sunshine now. Happy bday to your mom tomorrow and your partner on May 8th! I hope that you guys go and do some fun things! Thanks Kristine, you too. Awh! Such a beautiful, heart felt post about your Mom! This frame is a great idea! I feel that any grandparent would love it! Wonderful supportive moms are the best. I have one too. The best part of everyday, including my Wednesday, is heading home after teaching High School Math all day and spending time with my family. It is soccer season so most evenings we are busy with that. I don’t have any races coming up. I just starting running again after a fracture in my foot, so just getting outside and putting in some miles is good for me! Maybe this fall. As for birthdays, my husband’s is Friday (not a May bday but worth noting!) and my baby girl turns 6 on May 11. She wanted an Owl themed birthday party. I wasn’t sure exactly how to pull that off besides the decorations, but came up with the idea to have it at the Nature Center near us. They are going to do a presentation with REAL OWLS! This will be such an amazing gift for my mom! I tried to get her set up on Instagram but she doesn’t look at her computer very much and she doesn’t have a smartphone. 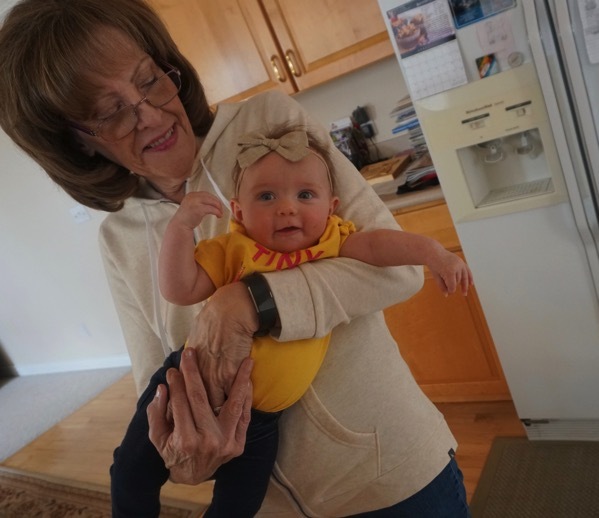 She’s got 6 kids, 17 grandkids, and 5 great grandkids! My Mom is amazing, she is seriously my hero. She gets out and walks 4 miles a day, takes care of her own house, and is just always willing to help when needed. My kids adore her and think going to see her is the best vacation ever. I am the fifth kid out of the six, the first daughter after four boys. My Mom, my younger sister and I have the best relationship. Today is going to be great because I already finished my workout and now I get to go have lunch with friends! i have quite a few friends that are amazing women who have been an influence on my life. with everything that is happening on sexual harassment and pay inequality as well as poor maternity care and minimal support with maternity leave, it’s really been eye opening to see how badly so many of us have been mistreated and continue to be mistreated. What a cool thing! Your mom deserves it because she is pretty spectacular! And so are you!! Love! Just got one for my parents. My kids are older so they can take their own pictures and send them directly to grandma and grandpa. How long is this code good for? ?